Community-based enforcement: a positive and unexpected result of catch shares in Sinaloa. As we mentioned in the previous two posts of this blog series the coastal shrimp fishery in Sinaloa, Mexico has been managed under a catch share program for two years now. Over 10,000 legal fishermen work in the fishery from Sinaloa, a coastal state in the northwestern part of Mexico. One of the biggest challenges we have faced in working with the coastal shrimp fishery is the vast amount of illegal fishing activities. Nonetheless, through great efforts by the Mexican federal government, fishermen and NGOs, we have achieved great milestones in this project including the first science-based estimation of a total allowable catch for shrimp by Inapesca (the Mexican Fisheries and Aquaculture Research Institute), the allocation of catch shares to 140 cooperatives, and the unprecedented financial support of the Mexican government to hire a third-party firm to monitor landings. 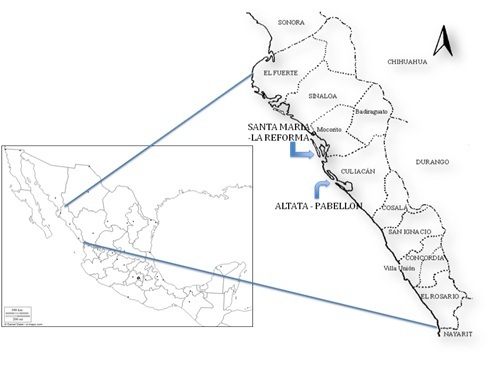 Figure 1: Location of the two lagoon systems under a community-based surveillance and enforcement system. Still, there is plenty of road to travel in this process of implementation to get the system to function properly and produce the biological, economic and social benefits possible with catch shares. Surveillance and enforcement have become an important issue. There are not enough government inspectors to ensure compliance with rules and regulations, so our team has worked with fishing communities to design and assist in setting up a community-based monitoring and enforcement system. At the beginning of this year, we helped organize cooperative meetings in two of the largest lagoon systems in Sinaloa: Altata-Ensenada Pabellones and Santa María-La Reforma (see Figure 1). The overarching goal of these meetings was to get community members together so they could come up with a system that included: codes of conduct that promote sustainable fishing practices, designate community inspectors (which would ensure compliance with these codes) and a “Surveillance and Enforcement Committee” in each lagoon system. The community-based enforcement initiative works like this: the agreed upon codes of conduct are communicated to all participants via coop leaders, large signs, and portable plastic cards that fishermen are to carry on board their skiff. If any member of the community identifies somebody breaking any of the rules stipulated in the codes of conduct, that person has two options, either to call a 1-800 government phone number and place an anonymous report, or to call a community inspector who will place the report for them. These numbers are printed on the signs and the plastic cards. 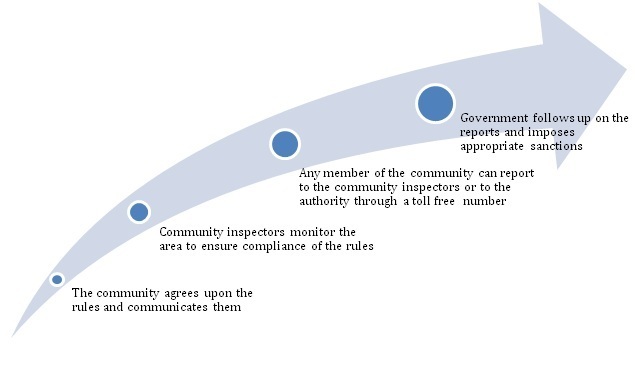 When the report is done by the community inspector, the Surveillance and Enforcement Committee has the obligation of reporting the government and follow up. Figure 2: How the system works from bottom-up to top-down. Conapesca, the Mexican Fisheries Management Authority, has approved and supported this co-management scheme by providing a substantial amount of financial resources to implement it and is considering how it could be facilitated in other fisheries in Mexico. The potential benefits of this system are considerable given the astounding number of fishermen involved in this fishery. We will begin evaluation as soon as preliminary results are available to measure the success of this initiative. One of the most important lessons we have learned is that with a fishing community this large, it is best if the users themselves lay out the rules so they have an incentive to comply with them. Sometimes, our most important job is to simply create the conditions for success, and the rest will fall into place. This entry was posted in Mexico and tagged Catch Shares, Fishery Management, Mexico, Shrimp, Sinaloa. Bookmark the permalink. Both comments and trackbacks are currently closed.